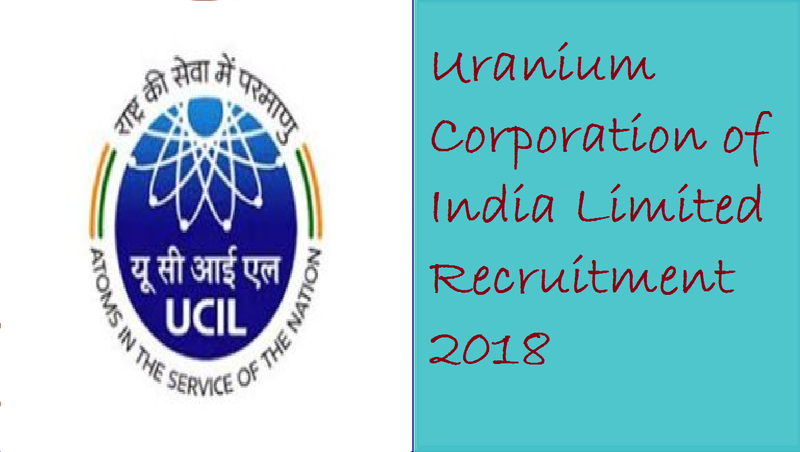 UCIL Recruitment 2018: Uranium Corporation of India Limited Recruitment, Jaduguda rolled out the notification for the recruitment of various posts in the department. Applications are inviting from Ex-ITI [NCVT] candidates for trade Apprenticeship Training under Apprentices Act- 1961 read in conjunction with Apprenticeship Rules 1999. 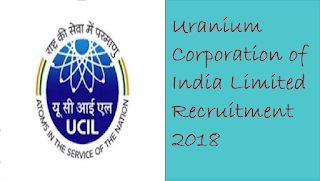 The total number of vacancies for the recruitment are 210 as per the notification released by the UCIL Recruitment. Interested and eligible Candidate may submit their application offline on the address mentioned below. Last Date for submitting offline Application is 30th October 2018. For more details of Like Eligibility, Selection Process and how to Apply to check the information given below. आयु सीमा : उमिद्वार कि आयु नुन्मतम : 18 और अधिकतम : 25 होनी चाहिये. ऊपरी आयु सीमा अनुसूचित जाति / अनुसूचित जनजाति 5 साल, अन्य पिछड़ा वर्ग 3 साल, विकलांगों को 10 साल, पूर्व सैनिक को 5 साल. नौकरी करने का स्थान : झारखंड, आंद्रा प्रदेश.